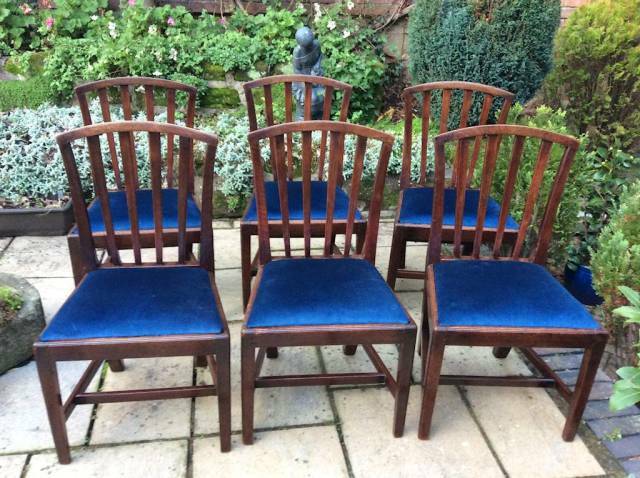 A set of good, robust period chairs having drop in seats. These chairs are sound (all chairs go through our workshops to ensure they are fit for every day use) and they are a good design having square tapering legs joined by H under-stretchers. They have never been stripped and repolished and so retain a nice old wax finish.